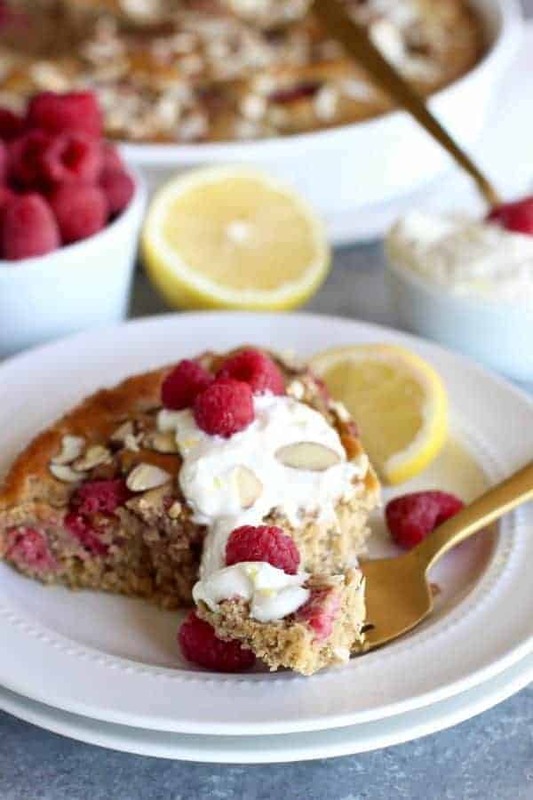 An oh so tasty gluten-free Raspberry Lemon Coffee Cake topped with a Lemon Sour Cream Sauce is made healthy with wholesome ingredients & no refined-sugars. 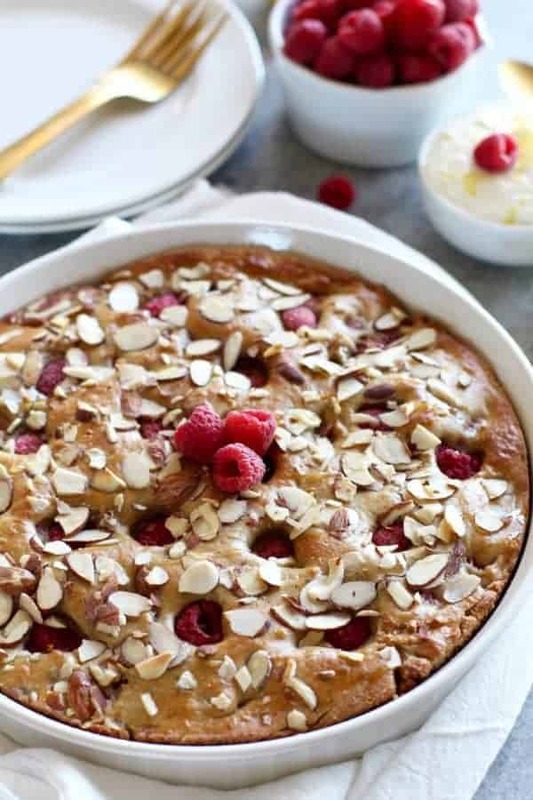 Gluten-free Raspberry Lemon Coffee Cake makes for a tasty and healthy breakfast option. 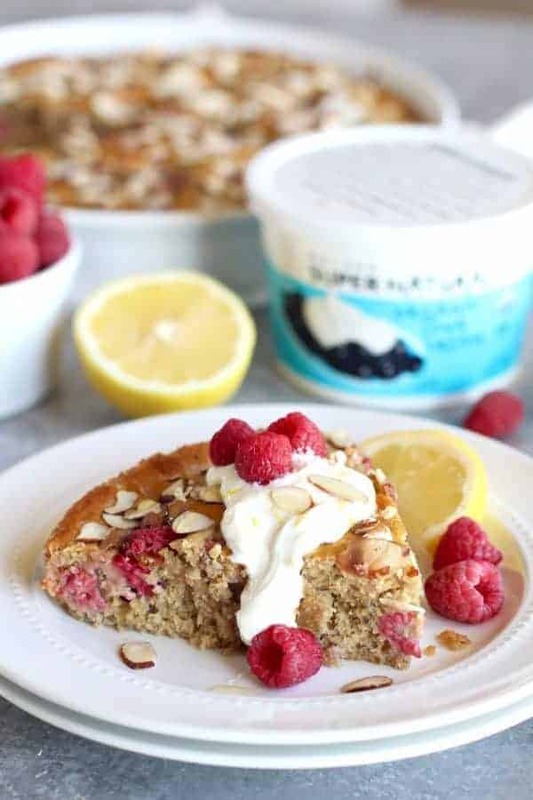 Lightly sweetened with honey, high in fiber and made flavorful with the delectable combo of freshly squeezed tart lemons and sweet fresh raspberries. 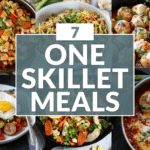 This recipe will make a great addition to a special occasion breakfast, brunch or I like to incorporate it into my weekend meal prep and enjoy it throughout the week and pair it with my favorite Turkey Apple Sausage Patties. I’ve also made this coffee cake into muffins for an easy grab-and-go option. If you choose to make muffins, you’ll want to reduce the baking time to 12-14 minutes. A dense and delicious coffee cake that will remind you of hearty and warm baked oatmeal. 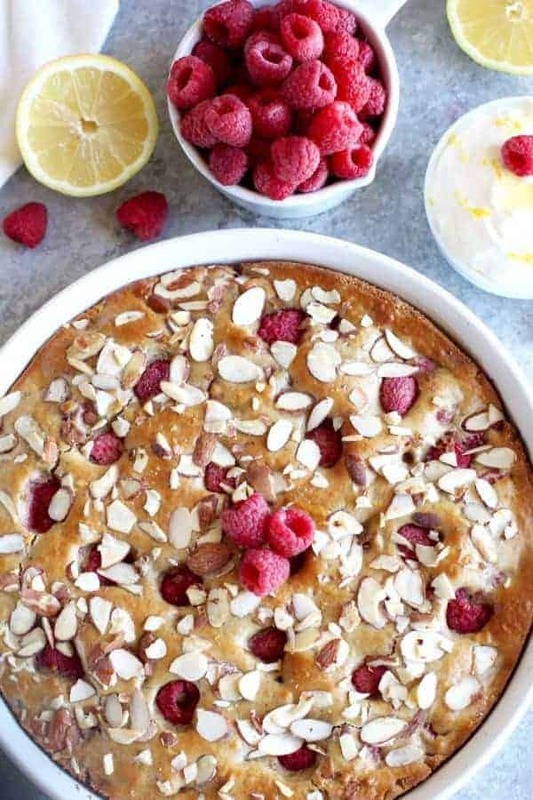 When you take your first bite of this Gluten-free Raspberry Lemon Coffee Cake, you will know exactly what I’m talking about. 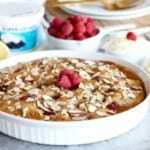 If you haven’t ever had baked oatmeal you’ll get a hint of what it’s like with this recipe. 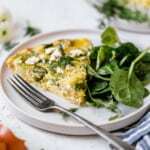 The reason for this recipe is made with oat flour which is simply oats that have been ground into a flour. 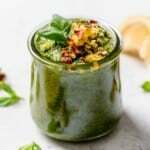 You can purchase oat flour or you can make your own by processing gluten-free oats into a flour consistency using a food processor or blender. 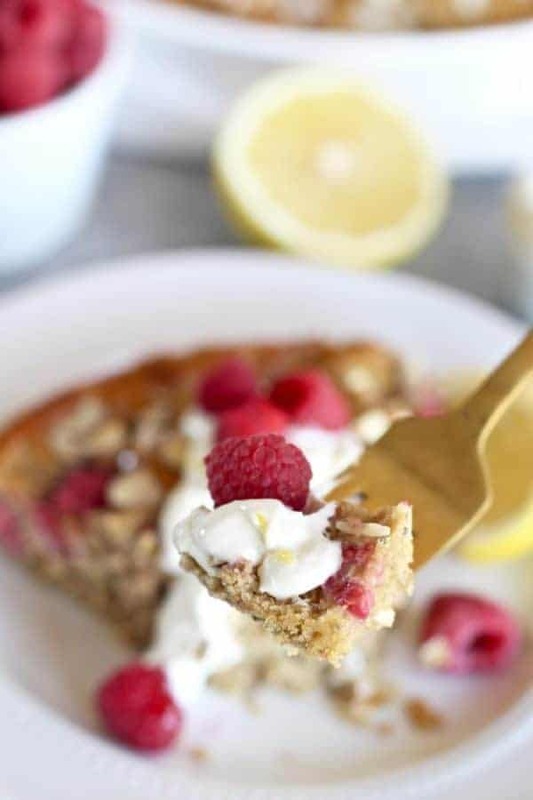 Gluten-free Raspberry Lemon Coffee Cake is made delicious with Kalona SuperNatural™ Sour Cream. 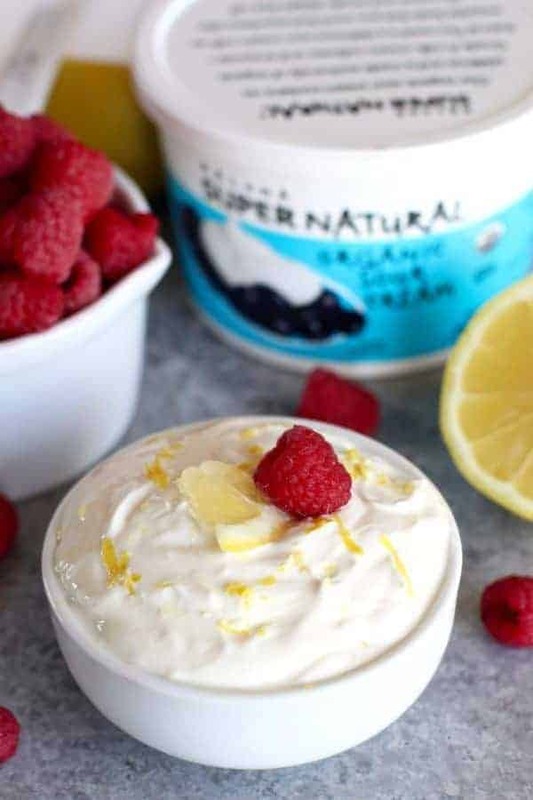 I love baking with sour cream and Kalona SuperNatural™ Sour Cream is like none other on the market. It has been my go-to for quite some time. It’s thick and buttery and adds a subtle zing of flavor to this coffee cake. 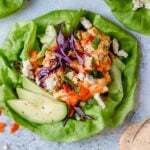 Note: You can also use Kalona SuperNatural™ Plain Greek Yogurt in this recipe if you wish. We recommend consuming quality and organic dairy, always! Kalona SuperNatural™ has been a longtime favorite of mine because it’s a brand you can 100% trust. 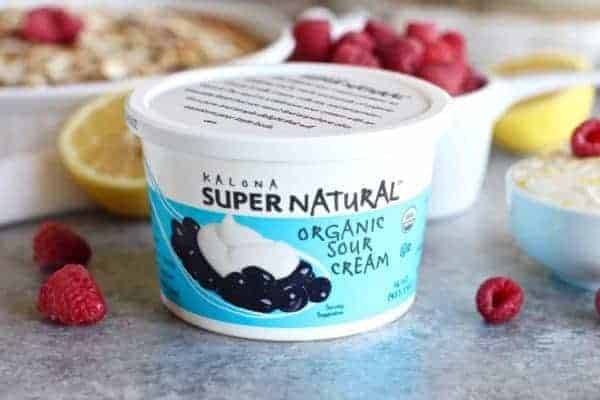 I remember first discovering Kalona SuperNatural Cream Top Yogurt when I worked as a dietitian at a Hy-Vee grocery store. 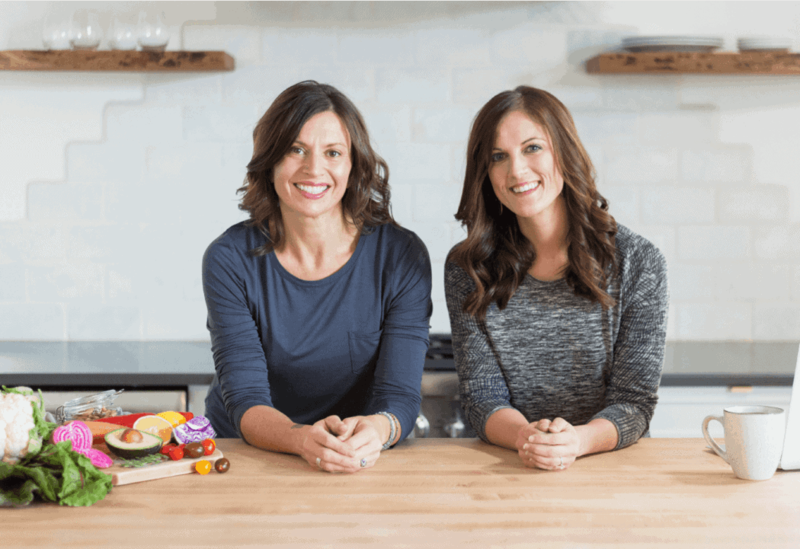 I’ve been a fan ever since and I’m beyond excited to be collaborating with Kalona SuperNatural™ and bring to you delicious recipes using our favorite Kalona SuperNatural™ products. If you missed our No-bake Cheesecake recipe, you can get that here. Kalona SuperNatural™ company is based out of Kalona, Iowa, a rural community in the heartland of America. Pretty much local to me since I live in southern Minnesota, just 10 miles from Iowa! Their cream top, grass-fed organic milk that they make their products with comes from small farms with the average heard of 35 cows (how cool!). 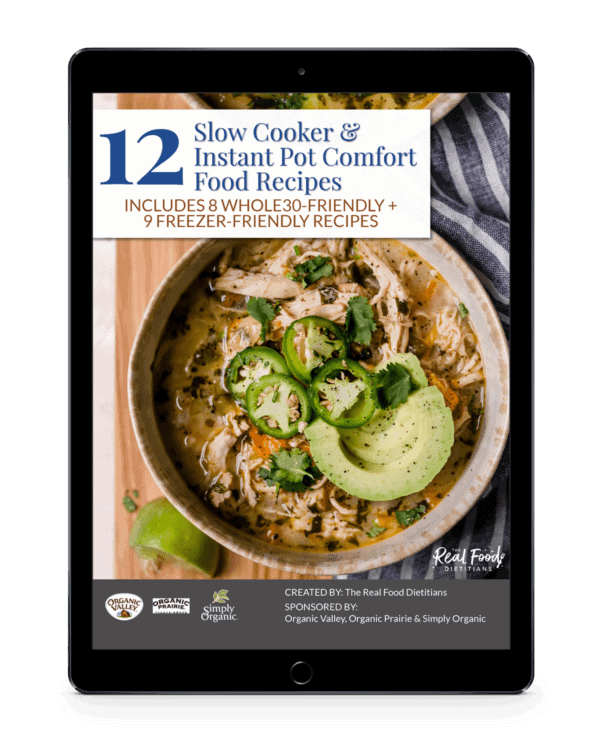 Their products feature only the best organic ingredients such as grass-fed cream and live cultures. It really doesn’t get any better than that! Kalona SuperNatural™ organic milk products are among the most natural and nutritious dairy products on the market. 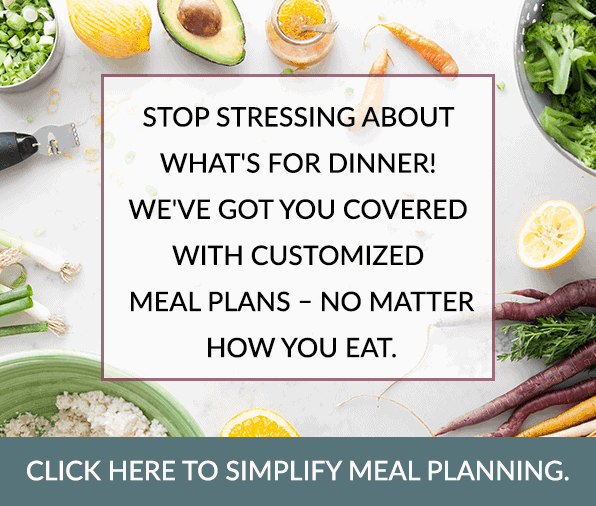 That’s because we believe in doing less—not more—when it comes to food. 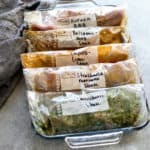 Extensive food processing has led society to be confused about what is “normal.” With Kalona SuperNatural™ products, we make it easy to demystify food. We bring you food in its most natural state. Unlike larger companies, we know each and every farmer we work with. We visit their land. We know their families. We understand how and why they created their product. Together, we take pride in the products that bear the Kalona SuperNatural™ name. Please do not forget the Lemon Sour Cream Sauce! It’s super simple and adds a delicious lemony zing of flavor to the coffee cake that’s just too good to skip. Preheat oven to 350 degrees. Grease a 9 or 10 inch round baking dish (or square). In a mixing bowl, combine oat flour, nutmeg, baking powder, baking soda and salt. Set aside. In another bowl (or electric mixer), whisk 3 eggs. Then mix in sour cream until smooth. Then add honey, lemon juice, zest and vanilla extract and stir until well combined. Add the wet ingredients to the dry ingredients. Once just combined, stir in raspberries gently. Transfer batter to baking dish and sprinkle with sliced almonds. Bake for 16-20 minutes or until center is baked through. While cake is baking, in a small bowl, combine Lemon Sour Cream Sauce ingredients. Once cake is done baking, remove from oven and drizzle with additional honey (about 1-2 tbsp.) and lemon zest if you would like more lemony flavor. Serve cake with a dollop of Lemon Sour Cream Sauce on top. 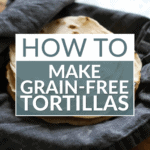 Can I make this using almond flour, as I’m allergic to oats? We’ve not tested the recipe with almond flour so we can’t make any suggestions as to how you’d go about substituting one for the other. Perhaps someone else will chime in with their experience. Or if you try it – we’d love to hear how it goes. Wondering if I should make the night before or first thing in the morning? You could do it either way though it’s slightly better when baked the day off.